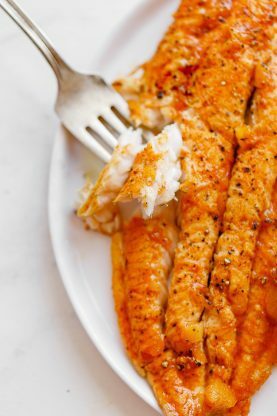 Disclosure: I partnered with McCormick for this grilled catfish recipe post, but all opinions expressed here are my own. I am grateful for authentic partnerships like this. Pineapple Honey Bourbon Grilled Catfish Recipe – A simple yet flavorful summer grilled fish recipe made with just a few ingredients including Lawry’s honey bourbon marinade. It is perfect for work days or weekend entertaining! Southern fish fries are a major summer event in my family. You can expect everything from traditional cornmeal hush puppies and crispy fries to crunchy fried okra and of course the main course, catfish. We are talking fresh from the Mississippi delta catfish that we pick up from a farm when we visit my grandparents. We are that serious about catfish. And we fry it to golden brown spiced perfection for all to feast on. 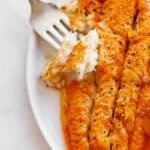 Because we are so used to the fried version and even my oven fried version, it was difficult to introduce a grilled catfish recipe to my family. However, the words pineapple honey bourbon definitely made them change their minds pretty quickly. Summer is definitely grilling season, and with everything from chicken to burgers going on your grill, a nice southern twist on catfish could be just as fantastic if not more delicious than the standards. Grilled fish recipes are a dime a dozen but this one is seriously one of the most flavorful catfish dishes I have ever had. This recipe is much healthier and leaner than its fish fry counterpart. 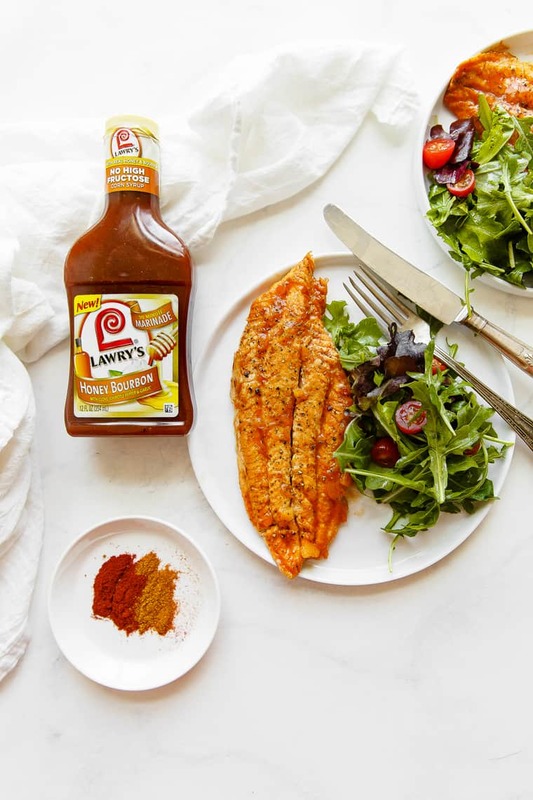 With just a few ingredients starting with Lawry’s Honey Bourbon Marinade, you can really let the flavor of the fish stand out. I let Lawry’s Honey Bourbon Marinade soak into the fish during the cooking process by using a foil packet. 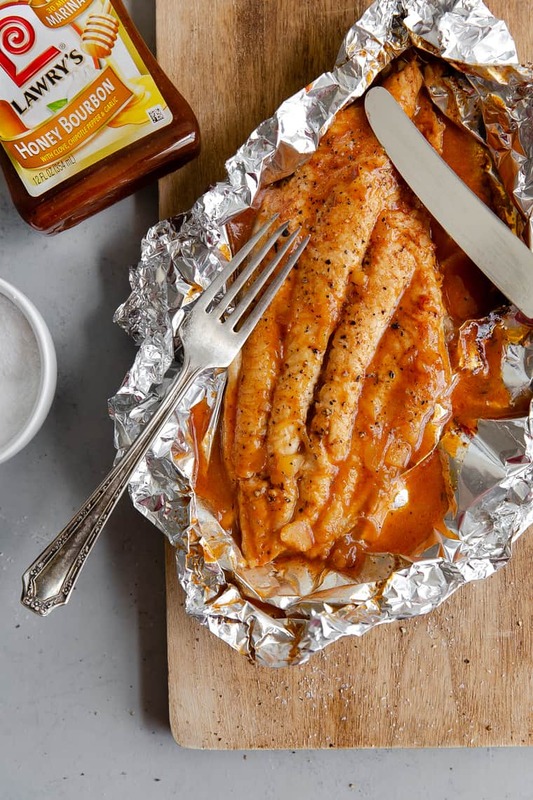 Foil packets are amazing to use for grilling and baking especially for grilled fish recipes. All the flavor stays inside during the cooking process and it also steams from the inside resulting in lots of moist tender flakiness. You will never need to worry about dry fish with a foil packet, and they couldn’t be easier to create. In this recipe, I simply used heavy duty foil to fold over the catfish fillets creating somewhat of a fort. Next I added the ingredients and closed the packets so all the goodness and flavors stayed inside. Now let’s talk the flavors. 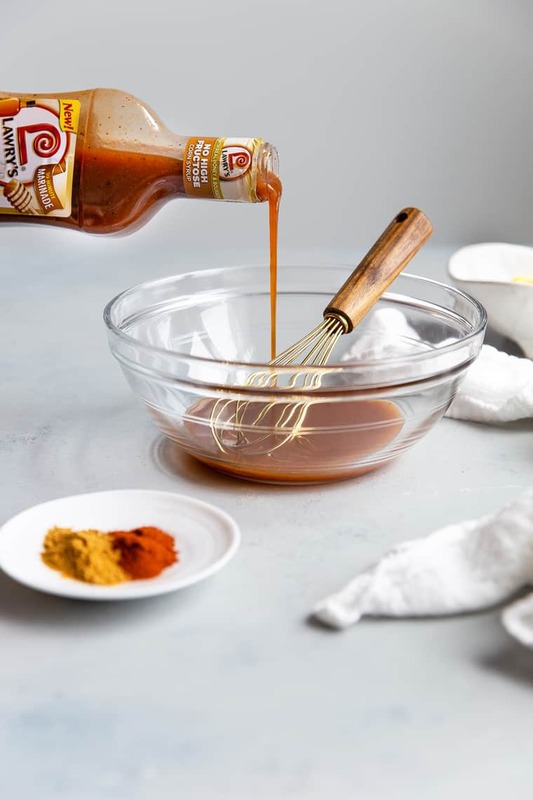 Lawry’s Honey Bourbon Marinade is the perfect foundation for starting this recipe. 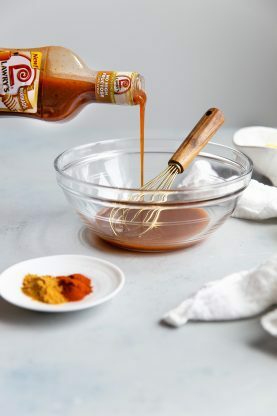 Because this marinade is packed with so many additional ingredients like garlic, you don’t have to add much to really take this over the edge. The essences of this marinade pair perfectly with the mildness of the catfish. Because catfish is so adaptable, you can really let these ingredients shine. Just a quick 30 minute marinade is all you need to penetrate and infuse the fish. To give it more fun flavor, I added some crushed pineapple along with the juice. You can use a can here for ease or you can cut up fresh pineapple if it is in season. Using canned pineapple allows you to make this recipe year-round. You can even pop it in the oven when the weather gets cooler. The pineapple is a lovely compliment to the honey bourbon. Just a touch of spice from McCormick Smoked Paprika and McCormick (Cayenne) Ground Red Pepper really takes it over the edge. Finally, I just add and McCormick Ground Black Pepper for final seasoning, and it is perfection. When I first made this, I figured it would be difficult to convince my family to try it. Old habits die hard. However, they absolutely adored it!! We just might be turning a few of our family fish fries into fish grills in the near future. Sometimes simple is all you need. 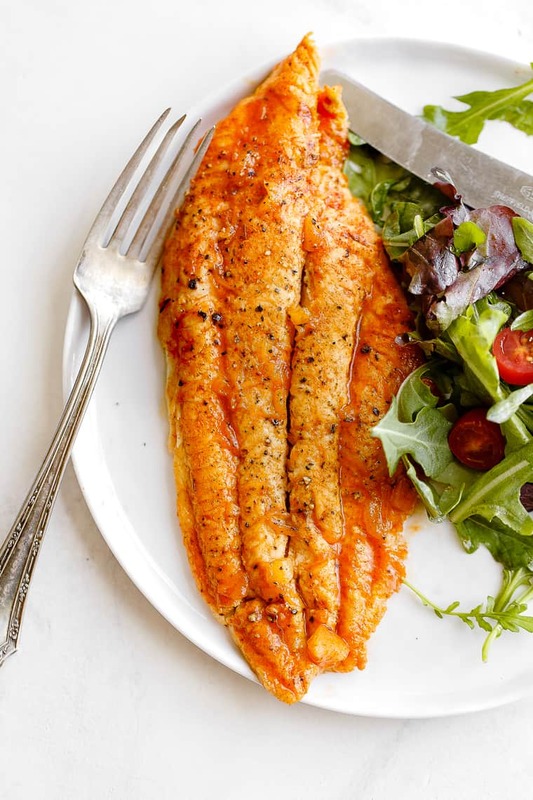 This Perfect Simple Grilled Fish Fillets from Bless Your Mess is amazing. 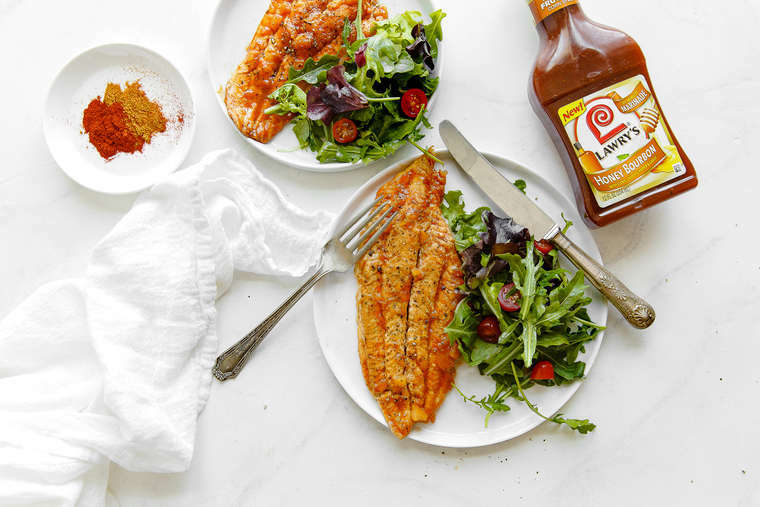 Spice it up with this Spicy Grilled Fish with Citrus Slaw from Shugary Sweets. And finally get this Skirt Steak Marinade with Chimichurri on your grill immediately. I will give this a try very soon I Love catfish anyway but this sound really good ad spicey!! It looks really tasty! I need to give this a try! I love a good catfish! These flavors sound so good! Oh my gosh this makes my mouth water! So tasty! This looks so easy to make and so healthy. Right up my alley. Baby cakes is so beautiful and growing so fast, is she pulling up yet. Nope not yet but super soon I think! Can this be cooked in an oven? If so at what temperature? Yes it can be! I cooked it in the oven once at 400 degrees. When cooking in the oven, what temperature should I set the oven and how long to cook? Yes you can cook it at 400 for about 18-25 minutes depending on the thickness of the fish fillets.